No Books have appeared on this subject for many years. This is strange as a number have appeared concerning West Africa. To fill this void I try making these texts available to everybody. When using these texts;(in e.g. articles or on a website) please mention my name; I worked years on collecting - translating them. No commercial use allowed. 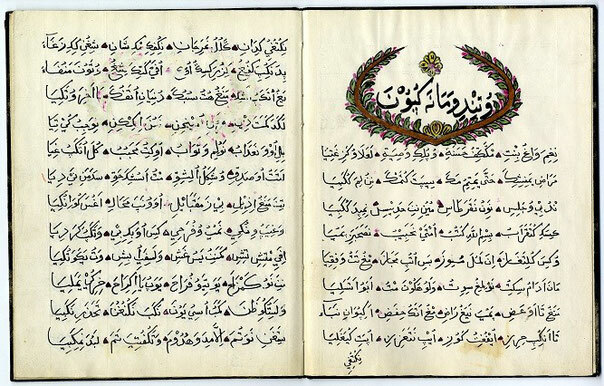 As illustration only are added here some examples of the finest manuscripts from the Swahili. They are not connected with the list of authors on the left side of the page. On top, first 20 verses of the popular poem Utendi composed by Mwana Kupona (±1858); MS H 58 copied by the scribe Muh’d Kijuma in ±1915, Asia-Africa-Institute, UHH. Under a page from another manuscript of the same poem. 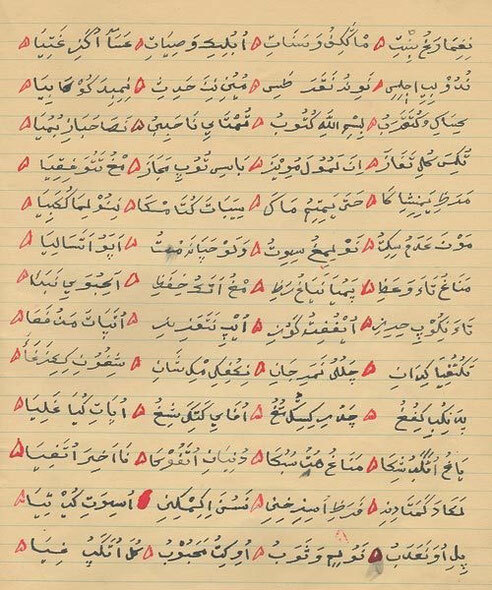 Old hand written Bible in Kiswahili Arabic script. It’s over a hundred years old. 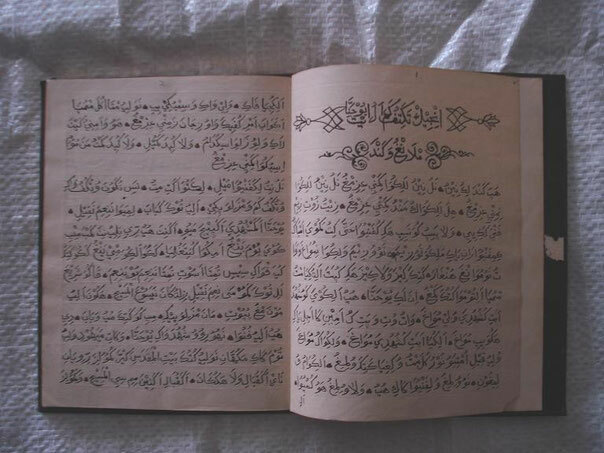 It has a beautiful binding of Elephant skin with very good Islamic calligraphy. It has 86 pages. The inside part which looks like a sticker reads in Kiswahili Arabic “kitabu hiki nimali yangu mimi John Williamson” which means “this Bible belongs to me John Williamson”. AND THE INSIDE CALIGRAPHY IN WREATH READS in kiswahili kama ilivyoitwa injil Yohana which means like it was mentioned in the Gospel of John. No part or portion of these pages, text(s), image(s) or code(s) may be copied, reproduced, published or distributed by whatever way in any medium without the expressed written permission of the copyright holder, unless you use the above mentioned matter for personal educational or scientific purposes with no intention of publishing it by whatever way under your or any other name.